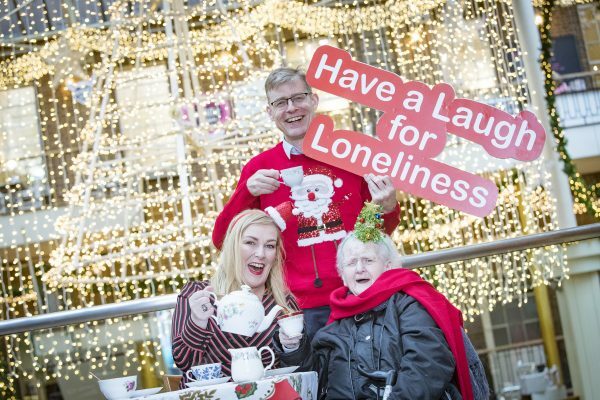 Dublin, 27th November 2018 ALONE, the charity that supports older people to age at home, today launched their Christmas campaign which asks individuals to reach out to older people who may be experiencing loneliness or isolation and to Have a Laugh for Loneliness. 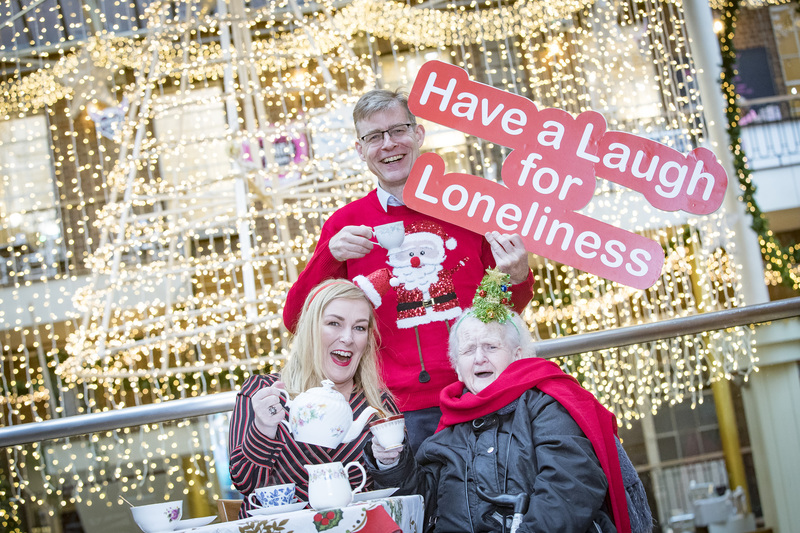 Comedienne Katherine Lynch launched the charity’s Christmas initiative today and urged members of the public to donate to ALONE and to offer friendship and support to those who are lonely or living alone. The campaign encourages families, friends, and communities to get together this winter to hold a bake sale, a coffee morning or another social event to raise funds for ALONE and combat loneliness in their community. The charity are also asking that the public make their Christmas donation to ALONE to help support the over 100,000 older people who are lonely in Ireland. 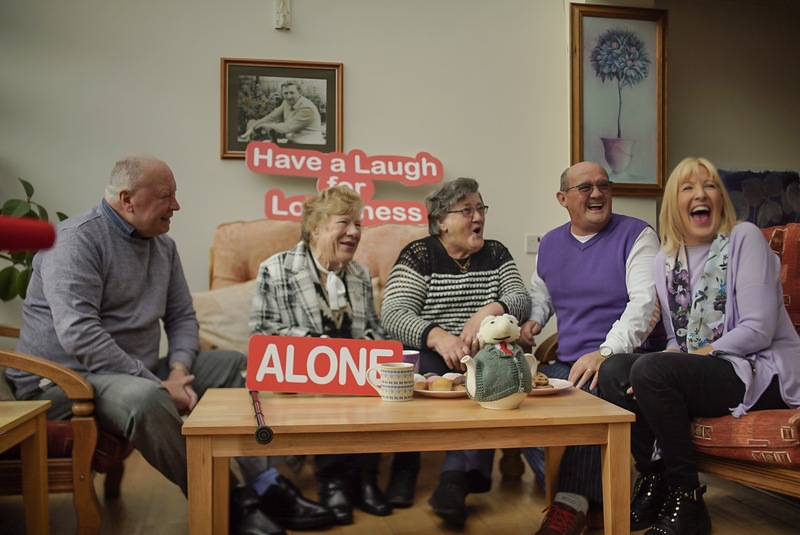 ALONE provides direct, frontline services to people aged 60 years and over, through befriending, support coordination, housing and BConnect assistive technology. With the effects of loneliness on older people including increased risk of dementia, depression and cognitive decline, ALONE wants every older person to know that support is available to them. ALONE’s activities over Christmas will include Christmas dinner dances for older people and volunteers, the delivery of hampers and Christmas trees to older people in need and a special Christmas Day dinner delivery for a number of older people. Thursday, November 15th, 2018: Christmas can be a very lonely time for many, so SuperValu is set to help address this by supporting ALONE and raise funds to support people who are suffering from loneliness this Christmas. With statistics indicating that there will be over 300,000 people over the age of 65 living alone in Ireland by 2021, there has never been a greater need for action. SuperValu through a range of fundraising initiatives will amplify the issue of loneliness this Christmas and highlight the importance to reach out to both young and old in the community. 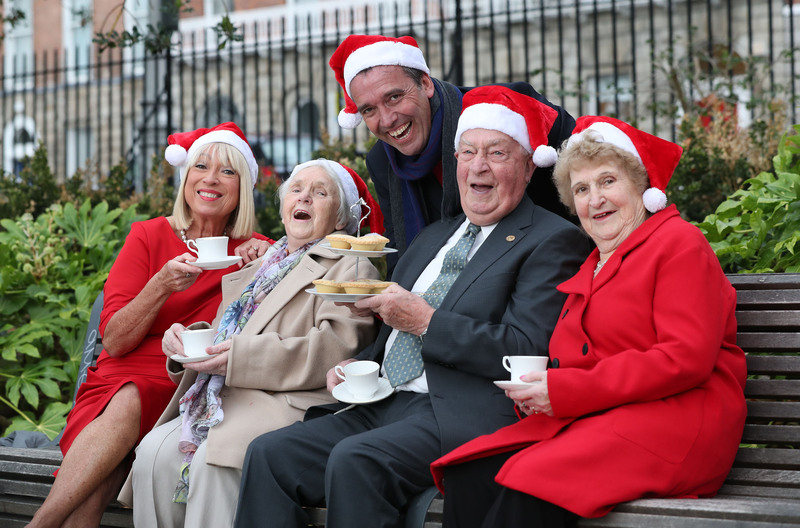 With SuperValu at the heart of 217 communities, this year they are asking their shoppers to Consider Taking Time to Catch up with someone in their community who may be lonely this festive season and drop around to have a chat and cuppa along with a mince pie. A 0.20c donation from all packs of Signature Taste mince pies will go to ALONE. Retailers around the country will also be hosting local coffee and mince pie mornings and wine and cheese evenings on Friday 23rd and Saturday 24th of November to raise further funds and awareness for the charity. SuperValu will also open its special All Things Considered Christmas Café on 41 South William St for two days from the 23rd – 24th November from 10am to 8pm. Bring a friend along and enjoy some festive treats, choosing from a menu of Christmas favourites from the Specially Sourced wine range, SuperValu Christmas cakes and sandwiches and Signatures Tastes meats and cheese platters with proceeds from the menu going to ALONE. Share your Christmas catch up on Facebook.com/SuperValuIreland, on Twitter @SuperValuIRL and on Instagram @supervalu_Irl. Loneliness can be worse for us than well known risk factors such as obesity. Christina R. Victora & Ann Bowling, A Longitudinal Analysis of Loneliness Among Older People in Great Britain, The Journal of Psychology: Interdisciplinary and Applied Volume 146, Issue 3, 2012. Cacioppo JT, Hughes ME, Waite LJ, Hawkley LC, Thisted RA. Loneliness as a specific risk factor for depressive symptoms: cross-sectional and longitudinal analyses. Psychol Aging 2006;21,pp140-51. Russell DW, Cutrona CE, de la Mora A, Wallace RB. Loneliness and nursing home admission among rural older adults. Psychol Aging 1997(4) pp.574-89. Dublin, 23rd October 2017 ALONE, the charity that supports older people to age at home, launched its Annual Report today which showed a 100% increase in both the number of older people availing of ALONE services and the number of volunteers since 2016. In comparison, only a 15% increase in donations has been reported during the same period. The number of people supported by ALONE’s services to cope with loneliness, poverty, housing difficulties and other issues doubled in 2017 to 1,903. The charity offers help to older people through Support work, Befriending, Housing and BConnect assistive technology. “As a country, we are facing an ageing demographic and ALONE and other agencies are providing essential supports. Many more older people will be experiencing issues such as loneliness or homelessness in the coming years. We need support from the public to increase so that we can continue to meet the demand,” he said. The sizable growth in the demand for ALONE’s services echoes Ireland’s rapidly changing demographic and the difficulties that continue to be faced by older people across the country. With over 1.2 million people to be aged over 60 in Ireland by 2032, the need for services to support older people will only grow, highlighting the urgency to develop government supports. For those who have concerns about their own wellbeing, or the wellbeing of a vulnerable older person in the community, ALONE can be contacted on (01) 679 1032 or at www.alone.ie. Dublin, 11th October 2018 ALONE, the charity which supports older people, is urging older people to take extra care following the status orange weather warnings by Met Éireann as Storm Callum is expected to hit Ireland later today. Strong winds of 130km/h and coastal flooding are expected in parts of the country. Older people can be more vulnerable during poor weather and stormy conditions due to the increased risk of falls and injury. More than one in five older people live alone, while one in ten older people are frail. Older people most at risk are those living alone, those with health issues, and those with limited mobility. ALONE is calling on family, friends and neighbours to check on older people in their community and assist them if they need to travel to the local shop or post office during the bad weather. ALONE is also asking older people who are concerned about their own wellbeing during the strong winds to call for assistance and help if needed. Further information, including advice and tips for older people in extreme weather conditions, can be found on www.alone.ie. Those who have concerns for an older person, or older people in need of assistance can contact ALONE on (01) 679 1032. The charity, which depends on donations from the public, has volunteers and staff ready to act on requests for assistance, and works in partnership to ensure all calls for assistance are responded to. ALONE can assist and advise on issues relation to food, heat, or medication. Older people are also advised to have a list of important phone numbers close to their home phone. 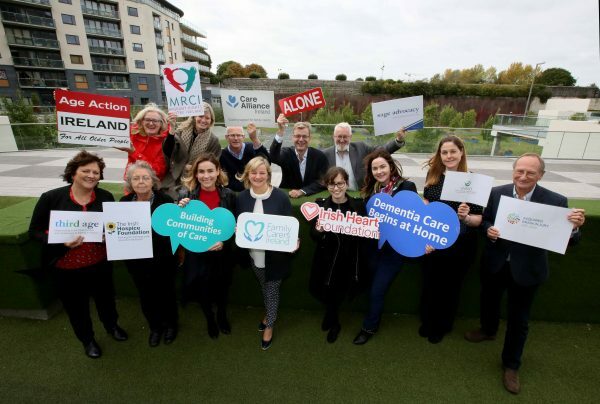 Dublin, 10th October 2018 This World Mental Health Day on 10th October, ALONE, the charity that supports older people to age at home, is urging older people to reach out and talk if they are in need of support surrounding loneliness and mental health. The charity is highlighting the importance of maintaining mental health into older age and encouraging those who struggle with mental health to help to break the stigma which still surrounds it, urging them to ‘Make today the day you reach out’. One in 10 older people suffer from chronic loneliness, and 1 in 20 older people have suffered a depressive episode. Don Smith, who was befriended by ALONE, described how being befriended by ALONE helped him to overcome loneliness: “Loneliness is what happens when you stop living your life to the full and become an observer. It can be brought on by retirement, sickness, bereavement or accident. The good news is that it can be overcome! A single phone call to a friendly voice can change your life,” he said. ALONE recently supported LGBT Ireland with its launch of the National Helpline Poster Campaign for older people, with Eilish O’Carroll, actress who plays Winnie McGoogan from Mrs Brown’s Boys, launching the campaign. The poster campaign aims to raise awareness of their helpline and support services available to older LGBT people and also aims to raise visibility of older LGBT people with mainstream services. This World Mental Health Day, ALONE encourage any older person looking for a Befriending Service in their area to get in touch and call 01 679 1032. Similarly, if there are any befriending organisations looking for advice and support they can contact ALONE. Dublin, 9th October 2018 ALONE, the charity that supports older people to age at home, has welcomed the increase to the state pension announced this afternoon as part of Budget 2019, but has stated that further government action is needed to support Ireland’s older people. Despite much discussion over the past number of days, the ‘granny-flat grant’ was not included in Budget 2019. The rejection of this project has been supported by ALONE, who expressed concern over the practicalities of the scheme. While an increased homecarers credit of €300 to €1,500 per year was welcomed, ALONE are disappointed that no increase to homecare was included in Budget 2019. This follows a pre-budget submission by the charity calling for an increase of €102 million in Home Support Hours. The charity also welcomed the government’s investment of €84 million to mental health funding. Having established the Loneliness Taskforce in collaboration with Senator Keith Swanick earlier this year, the charity is working to highlight the impact loneliness can have towards the health and well-bring of older people throughout Ireland. The Loneliness Taskforce is calling for €3 million of this new funding to be assigned to loneliness and social isolation. A group of Irelands’ leading not for profit organisations and campaigners came together today to highlight the urgent need for investment in home care services pending the introduction of a statutory home care scheme. While the Department of Health’s plan to establish a statutory homecare scheme by 2021 is welcomed by all groups, people who require home care and their families cannot wait until then to see services improve. Pending the introduction of the statutory scheme, interim measures are urgently needed to address the home care crisis which is seeing thousands of people stuck in hospitals or forced into residential care when they could return or stay at home if appropriate care was provided. The majority of people coping with the effects of ill health and disability want to remain living in their homes. This includes a large number of older people and people with long-term progressive illnesses, or terminal illnesses. As a society we are failing to provide these people and their carers’ with the level of support they need. Our ageing population as well as those with disabilities require a significant annual increase in home care support. The cuts to home care provision over the years have not been restored to the levels required to keep pace with the significant ageing population and the increase in the number of people with disabilities. Home Support Hours should be increased by at least 25 percent in budget 2019. Home care is also vital in supporting Ireland’s 355,000 family carers, who provide the vast majority of care for people at home. The system relies heavily on these family carers who provide nearly €10bn worth of care every year and who need our support. Research published by the School of Social Policy, Social Work and Social Justice in UCD, Age Action, The Alzheimer Society of Ireland and the Irish Association of Social Workers in 2016 found that more than half of older people could remain in their own homes instead of going into long-term care if more home support services were available. The report also showed that a multiple of resources are being invested in long-term care than in community-based care, despite the fact that Government policy is to support people to remain at home. Recent research by Dr Maeve D’Alton of James Connolly Hospital found that almost half of home care recipients felt they were getting insufficient home care support. Spending on Nursing Home care in 2018 will be almost 2.5 times more than spending on home care – € 962 million spent on Fair Deal as opposed to € 412 million on homecare. This group is calling on the Government to urgently increase investment in home care in Budget 2019 in line with Government policy to provide the majority of care close to or at home. 2. The Patient Experience of Home Care Services. Maeve D’Alton, Keneilwe Malomo, Avril Beirne, Fionn Mag Uidhir, Eimear Short, Marie O’ Connor, Eamon Dolan. James Connlly Memorial University Hospital, Blanchardstown, Dublin 15, Ireland. Dublin, 28th September 2018 ALONE, the organisation that supports older people to age at home, has today outlined its pre-budget submission, which calls for action across the Department of Employment and Social Protection, Department of Health and Department of Housing, Planning and Local Government. With home ownership dropping and more than one third of over-50s suffering from loneliness, ALONE believe it is vital that the Government takes measures to address the issues faced by an ageing population. Finance is the third most common issue faced by older people who come to ALONE, following loneliness and housing. ALONE is calling on the government to raise pension rates by €6.50 in Budget 2019, as part of a plan to bridge the gap between the current pension rate and the Contributory State Pension payment target of 35% of average earnings. With the substantial shortage of residential accommodation, Ireland’s housing crisis is set to continue. The population of over 60s is expected to grow from 866,317 in 2016 to over 1.3 million in 2031. Already, 20.7% (234,848) of older people have housing facility problems, which could include lack of an indoor flushing toilet, lack of a bath or shower, lack of downstairs bathroom facilities, and other issues. However, home adaptation grants are difficult to access for many older people as they require the person to have money up front to pay for building deposits. They also involve a lengthy application process, and the grants are not resourced to meet demand. €84.5m per year over the next 10 years in grant funding through the Housing Aid for Older People scheme, with improved accessibility. Along with more than 20 other organisations, ALONE is advocating for the right to homecare. The Government’s own Sláintecare report estimates that the cost of meeting unmet need in home care provision is €120 million. While we work towards the right to homecare, ALONE is calling for Home Support Hours to be increased by at least 25 percent at a cost of €102 million. €102 million funding for Home Support Hours. More than one third of over-50s suffer from loneliness. Evidence highlights that older people experiencing high levels of loneliness are almost twice as likely to die within six years compared to those who are not lonely. ALONE has collaborated with Senator Keith Swanick to form the Loneliness Taskforce to coordinate a response to loneliness, and has offered recommendations to tackle loneliness and social isolation. Annual funding of €3m towards combating loneliness, by running a public information campaign, supporting initiatives and organisation which alleviate loneliness, and funding Irish-specific research. An independent charity, ALONE provides direct services through coordination of supports, befriending, information, phone services, technology, practical help and housing. The charity also supports over 50 organisations nationwide which ensures access to consistent, quality-assured and impact-proven services. Dublin, 19th September 2018 ALONE, the charity which supports older people in need, is urging older people to take extra care following the status orange and yellow wind warnings by Met Éireann as Storm Ali hits Ireland. With severe winds of 143km/h in some areas, power supply to some areas has already been affected. Older people can be more vulnerable during poor weather and stormy conditions. Older people most at risk are those living alone, those with health issues, and those with limited mobility. ALONE is calling on members of the public to check on their older neighbours and assist them if they need to travel to the local shop or post office during the bad weather. ALONE is also asking older people who are concerned about their own wellbeing during the stormy weather to call for assistance and help if needed.